Jackie Chan was originally adopted out as a kitten, but was abandoned at the Winnipeg Humane Society. He is a wonderful boy–very sweet, definitely a beta-personality. He is not super outgoing, but he does love to cuddle with his favourite humans at Rescue Siamese. 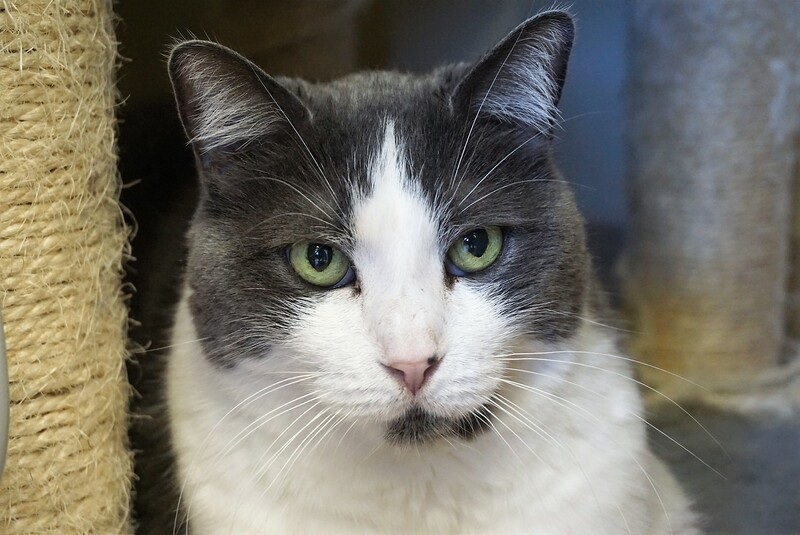 While Jackie Chan gets along pretty well with other cats, he would do best in a home without small children. If you would like to meet this wonderful cat, you can visit Jackie Chan at our store location at 38 Barberry Road during regular store hours.